The mayor of Cedar City, Utah responds to call to action against the dog meat trade. Home / Blog / The mayor of Cedar City, Utah responds to call to action against the dog meat trade. 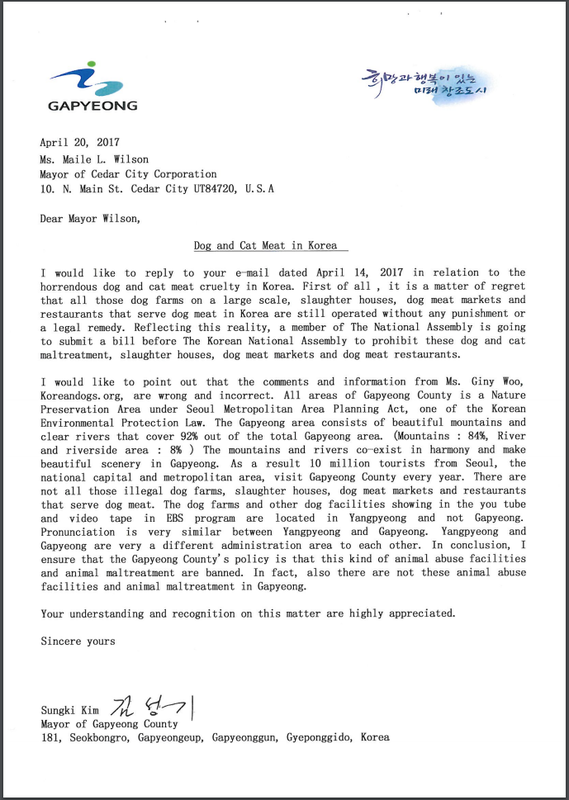 [Update: April 20, 2017] Mayor Wilson forwarded us response she received from Gapyeong Mayor Kim. We are grateful to Mayor Wilson for keeping us informed as to the status of her communication with Mayor Kim of Gapyeong and his reply. However, we are disappointed with Mayor Kim’s response, which was inaccurate and disingenuous. See Mayor Kim’s response below. 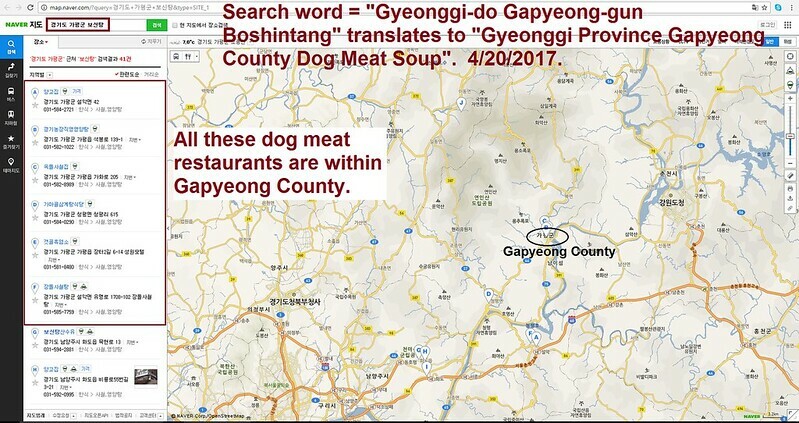 Thank you for contacting Gapyeong County regarding its dog-meat industry and for sharing the response you received from the Gapyeong County Mayor, Sung-Ki Kim. I would like to point out that the response you received from Mayor Kim was disingenuous and inaccurate. Perhaps he is unaware that we are able to access information about the dog meat industry operating in his county. Please see the attached screenshots of the search results. Therefore, all the restaurants in Gapyeong that sell dog meat/elixir products are operating illegally. Obviously, Mayor Kim’s government is doing nothing about it. Mayor Kim mentions that “a member of The National Assembly is going to submit a bill before The Korean National Assembly to prohibit these dog and cat maltreatment, slaughter houses, dog meat markets and dog meat restaurants.” However, I follow this issue on a daily basis and I have not heard of a such bill. The question is, what is Gapyeong doing to enforce the law and shut down these illegal businesses? Even though the Gapyeong government would be aware of dog meat businesses operating in the county, it could claim there are no dog farms because there are no government records, regulations or oversight for dog farms in Korea. But local dog meat businesses would obtain dog meat from large factory farms or homes that breed few dogs to make money. In reality, county governments in Korea turn a blind eye to the dog meat industry and no one is protecting dogs from cruel treatment and slaughter. Mayor Wilson, I grew up in Korea, fluent in Korean and very familiar with Korea’s dog meat industry. No one has challenged the Korean government regarding this illegal and cruel industry the way we are doing with the Sister City campaigns because people do not want to upset Koreans. But sadly, we must persevere because the Korean government will not take steps to end this horrific and illegal industry without pressure from caring people within and outside of Korea. 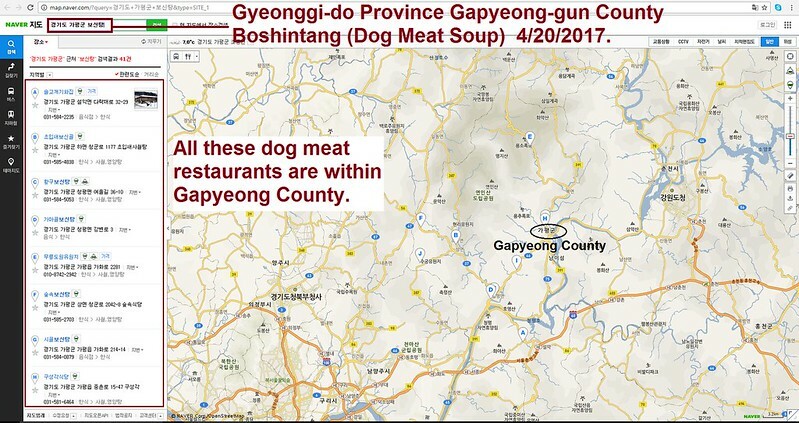 Mayor Kim and his government are now aware that we are campaigning against Gapyeong’s dog meat operations, and this will impact their image as well as their ability to form beneficial relationships with cities in other countries. We will share Mayor Kim’s response with our supporters. Again, we are grateful for your support and for taking action. On April 17, we received a response from Mayor Maile Wilson, in Cedar City, Utah regarding our campaign, asking them to take action over the dog-meat trade in their Sister City, Gapyeong in South Korea and we are pleased to say that she has responded positively. We are grateful to the Mayor for responding to our concern so quickly and for taking action to contact the Gapyeong government. Click HERE to see our campaign. I would like to thank you and the Cedar City for responding to our concerns raised via the recent petition on Change.org about the mistreatment, torture and consumption of companion animals in Gapyeong, South Korea. And thank you for informing us that you have already reached out to your Gapyeong contact and they are working on speaking with officials within the county. We have updated our supporters who have signed our petitions as well as our campaign page. Both domestic and international pressure on this issue is required if we are going to incite some real change in South Korea, so I kindly urge that you reach out to them until affirmative action has been taken by their authorities to end the horrific and illegal practice of the dog meat trade for good. Thank you again for your efforts here. this is an answer and position I very much appreciate !!! not like another one I have received singed ” one of Cedar citizen “” which was not at all favorable to our cause !!! thank you once again Mayor Wilson !!! Thank you Mayor Wilson for supporting this important cause! Together we are one strong voice for the animals! Thank you for your efforts, and I hope you’ll continue supporting this cause and remain involved until some changes are actually made. Is it possible, to present the facts you have on the above links back to thm in Korea? I PERSONALLY THINK THAT THE MAYORS OF THOSE KOREAN CITIES ARE JUST TELLING OUR MAYORS SOMETHING IS BEING DONE SO THE PETITIONS AND EMAILS AND PROTESTS WILL STOP. I DON’T TRUST THEM ONE BIT.